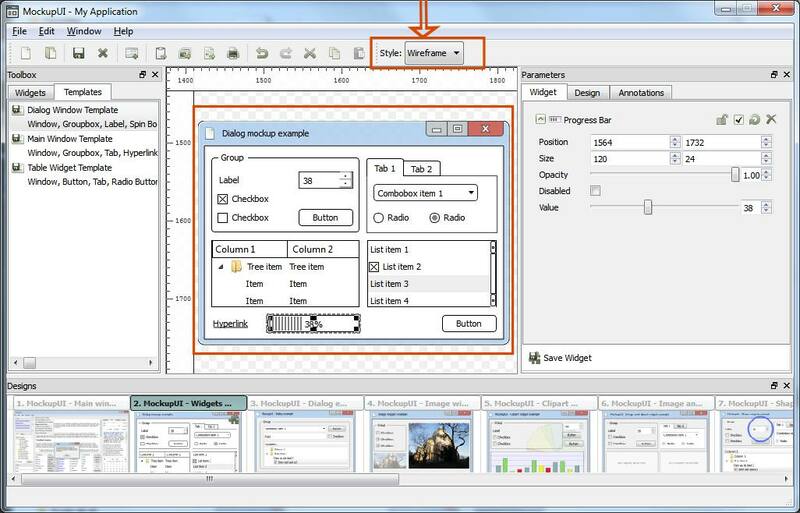 MockupUI allow you to customize the appearance of the designs in a project by selecting one of the available visual styles. Select the style you want from the Style drop down list. This will change the appearance of all the designs in the project. 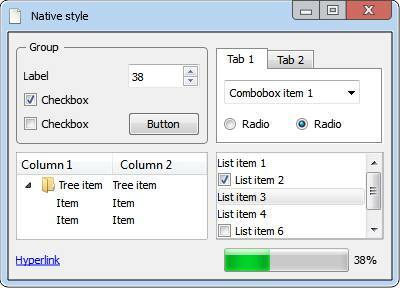 The Native style uses your current operating system visual style. 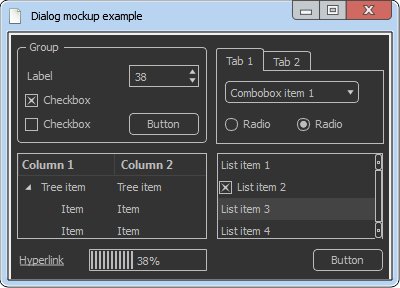 MockupUI will use colors, fonts and formatting from your current operating system theme. To change your operating system theme right-click on the desktop and select Personalize. 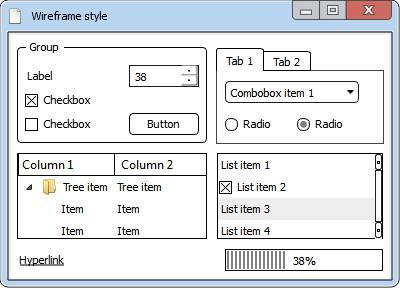 The wireframe style gives a lo-fi look to your designs by applying a black and white theme to the widgets. A theme with a dark background and grey contours.